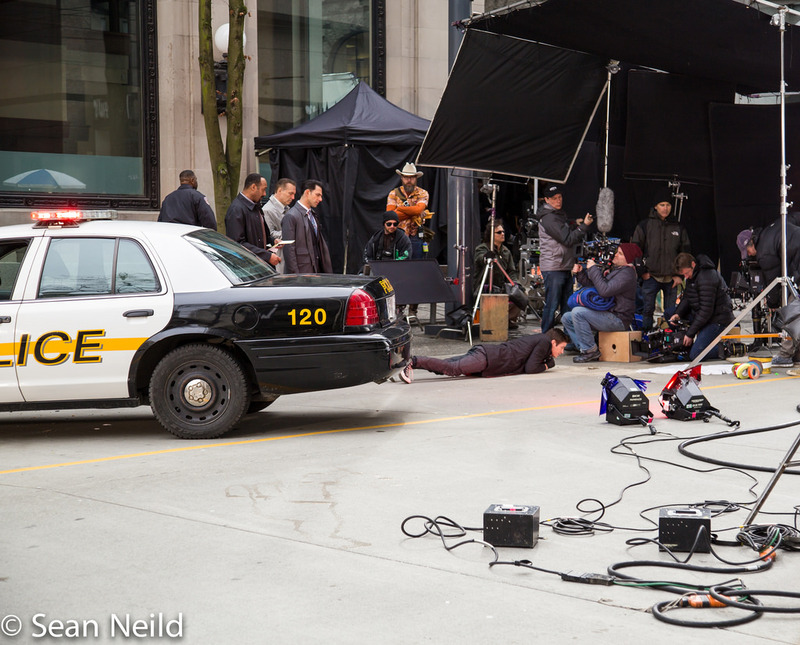 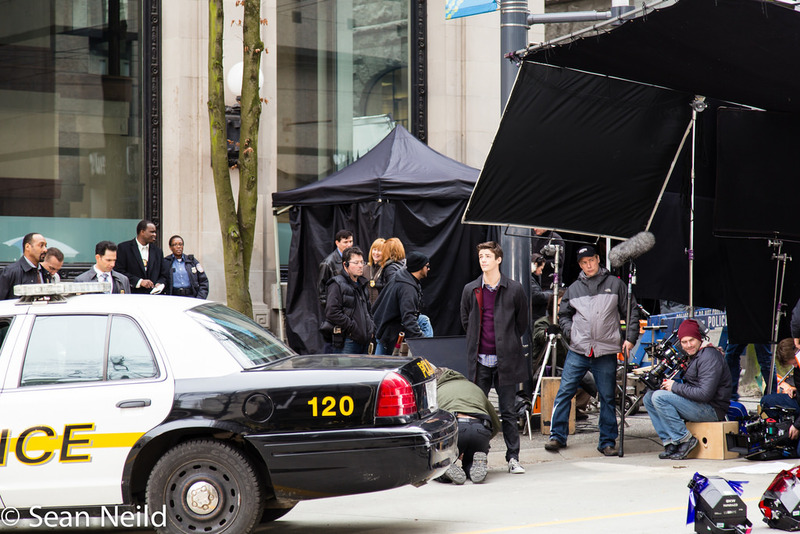 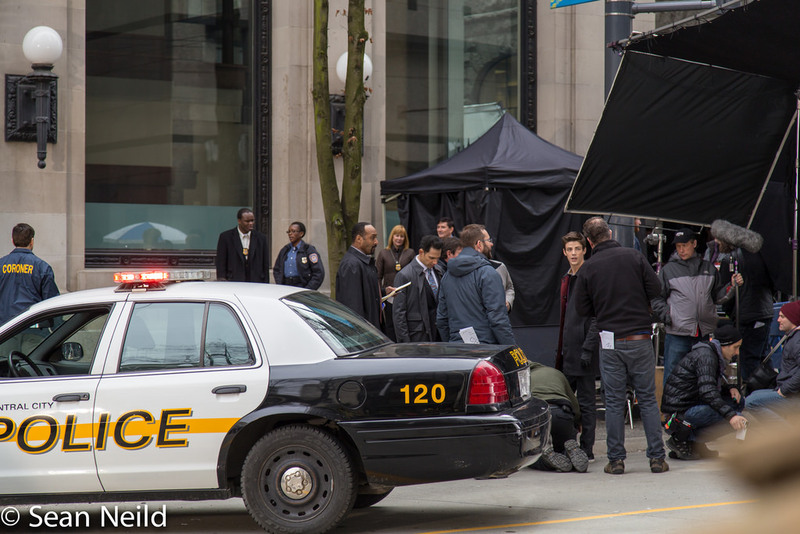 The CW’s The Flash has begun filming in Vancouver. 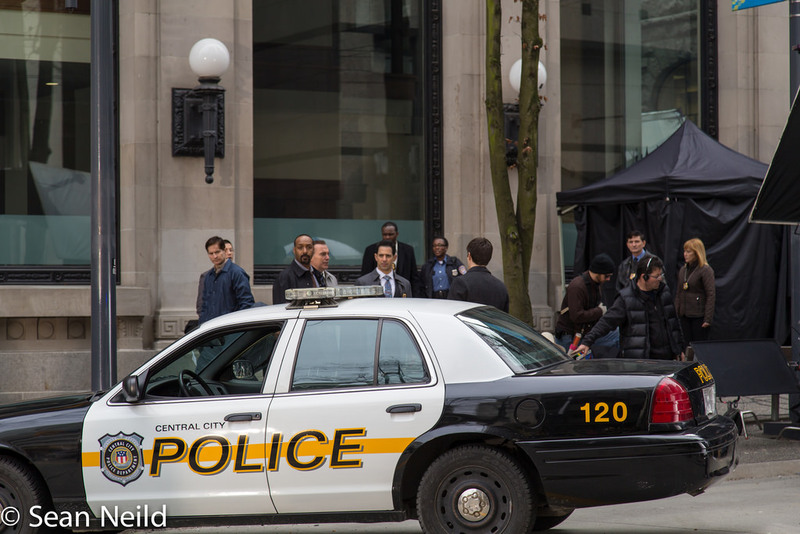 This week, he was seen running after ‘bad guys’ near West Hastings and Hornby and performed several stunt car explosion scenes. 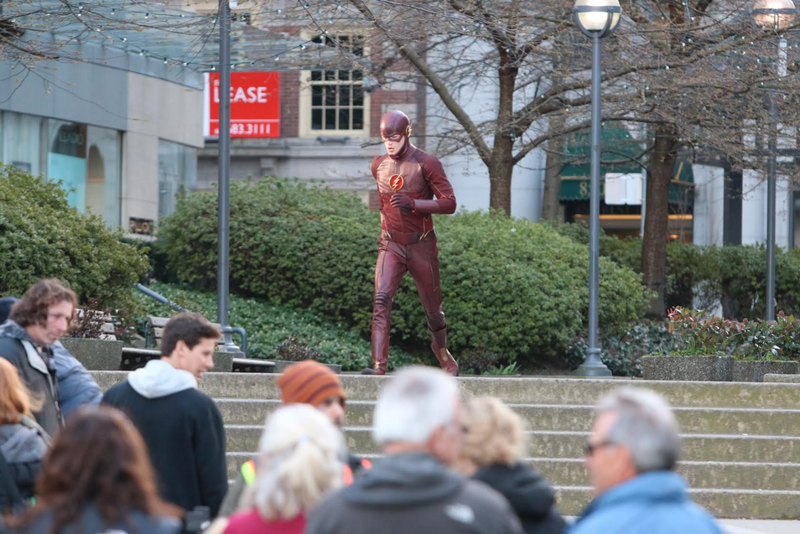 The Flash plans to surround its central character with a few familiar faces from its comic origins. 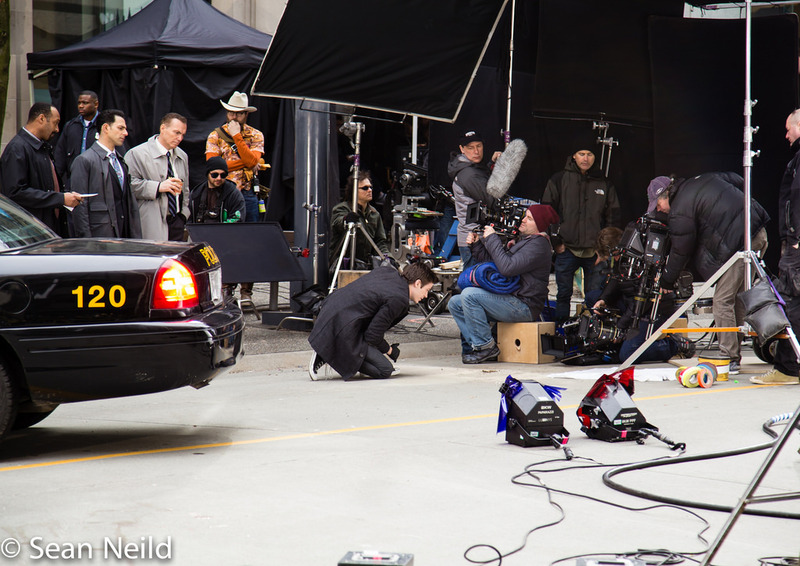 It stars Grant Gustin as Barry Allen (the speedy superhuman) and is an extension of the CW’s Arrow storyline. 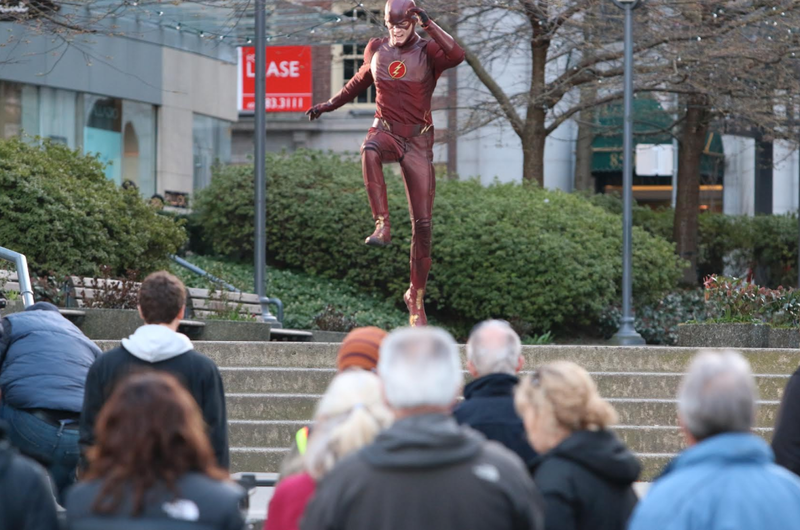 In the DC comic book universe, the red and gold spandex dressed superhero became a founding member of the ‘Justice League of America,’ a group that includes Superman, Batman, Wonder Woman, Green Lantern, and Aqua Man. 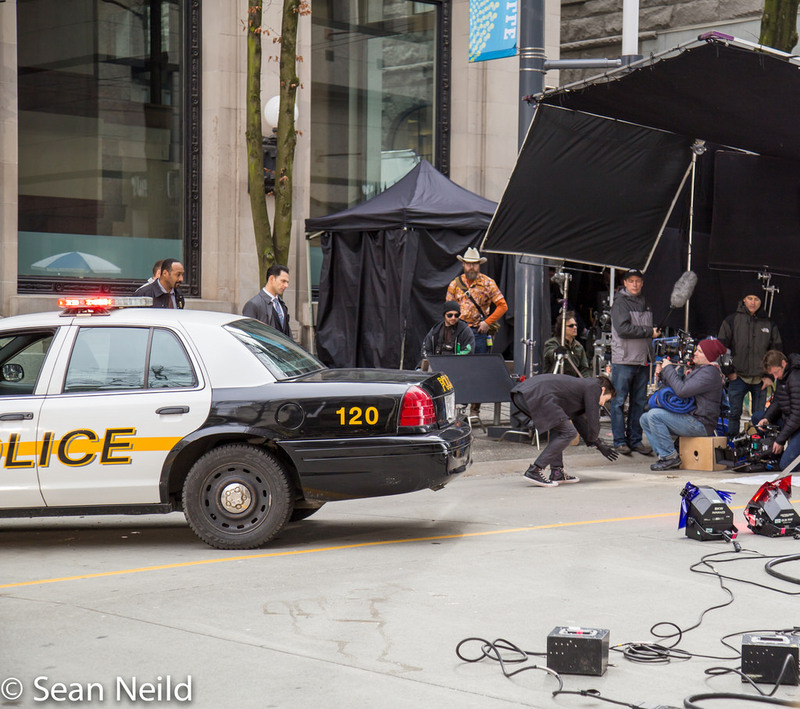 Currently, the CW is also filming its Arrow, The Tomorrow People, and Supernatural in Vancouver. 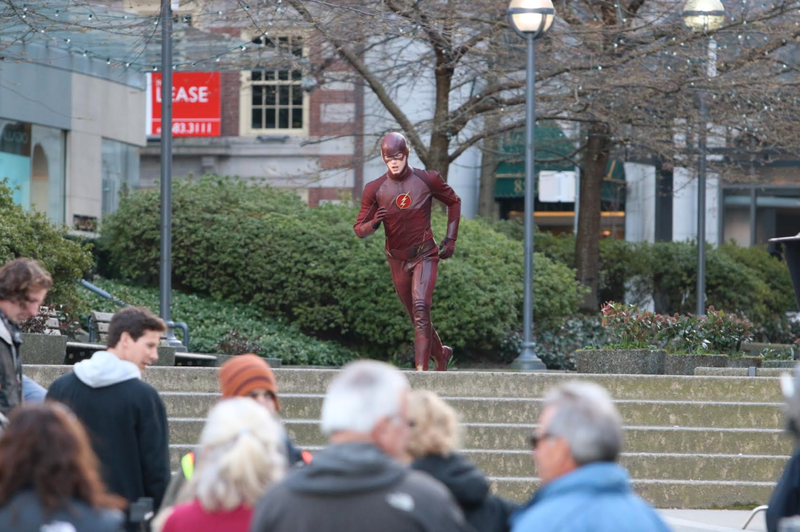 The Flash is produced by the same team responsible for Arrow.